Umbrella Insurance provides exactly the type of coverage that it sounds like it would; it provides an umbrella for you to stand under. Liability issues are everywhere and you never know what could cause someone to present you with a lawsuit. Basically, Umbrella Insurance policies protect you from liability issues that go beyond the liability limits of standard insurance policies, such as your homeowner’s insurance, car insurance, etc. This policy literally puts you under its umbrella so that when you exceed the liability coverage limits on an insurance line, you are protected with an additional layer of liability. You may not think you need an umbrella policy, but consider this: What happens to you and your family’s assets should you be sued for something that occurred at your home and the legal costs of the lawsuit greatly exceed the liability coverage defined by your homeowner’s policy? Who will pick up the tab if you are responsible for a multi-car accident and your liability costs exceed the limits on your car insurance by millions of dollars? Although these kinds of things may be few and far between, you cannot be too careful. Umbrella Insurance is typically purchased at a low cost to you, but will provide enough coverage to where you shouldn’t have to worry about liability costs in the future. 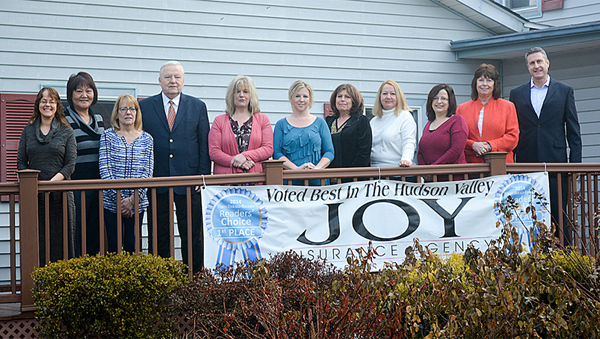 Contact Joy Insurance Agency today for more information on umbrella policies and get a free online quote!